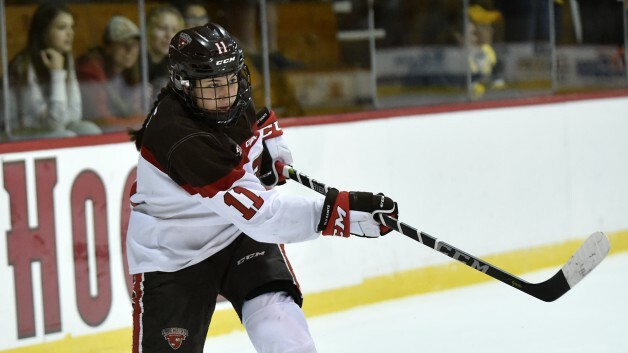 Chino Hills native and Anaheim Lady Ducks alum Justine Reyes was named ECAC Hockey’s Player of the Week on Jan. 9. Reyes scored two goals and added a pair of assists as St. Lawrence University split its weekend series with Lindenwood University at the College Hockey Classic at the Honda Center in Anaheim. The series was hosted by the Lady Ducks, the club that produced four players between the two teams, including Reyes. Reyes’ overtime winner gave the Saints a 3-2 win on Saturday. On the season, Reyes leads SLU with 12 goals and 22 points.